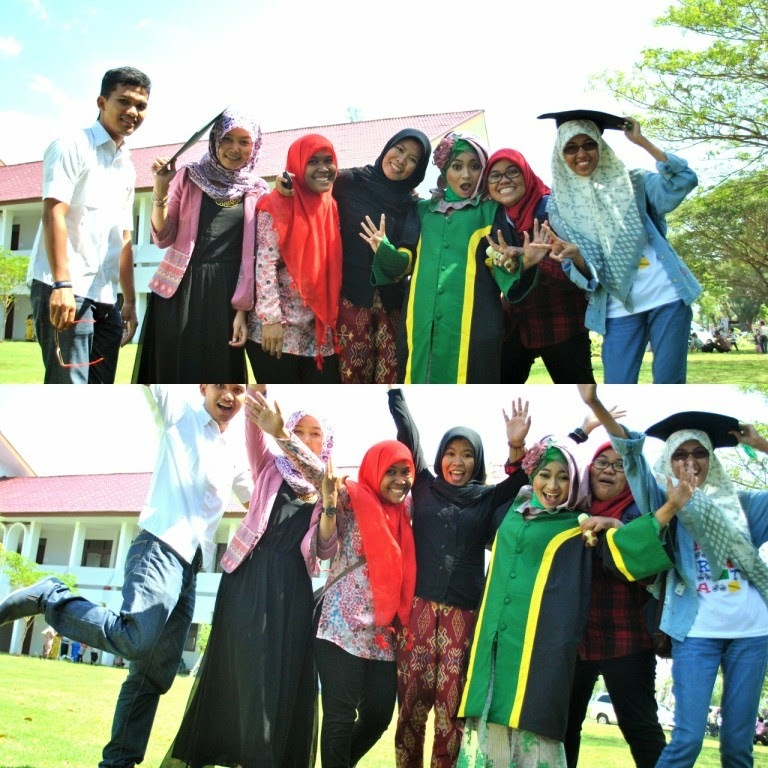 So, I was officially graduated last month from my another campus, Faculty of Education and Pedagogy of UIN Ar-Raniry :’) Alhamdulillah. 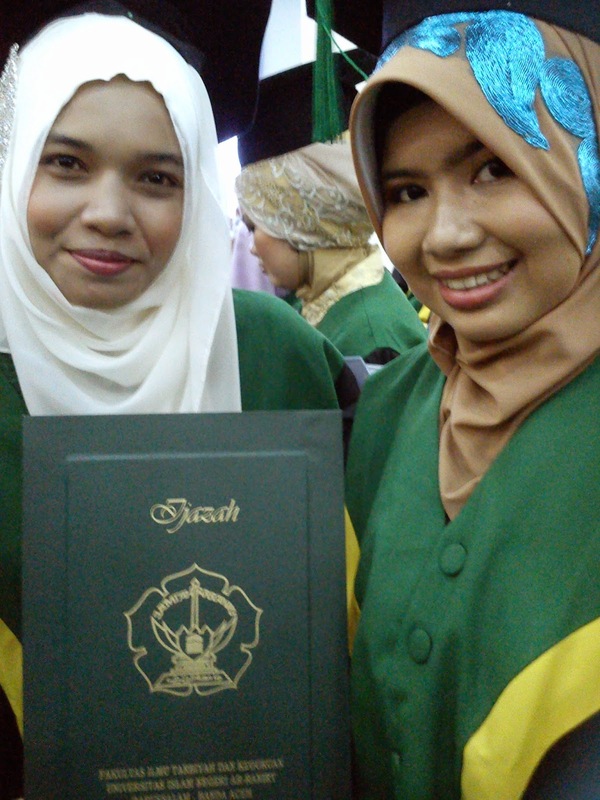 A little flashback, I have been also graduated once from Faculty of Economics of Syiah Kuala Univerity (The post is here). My daily activities are still like usual, hanging out with my friends a lot (which I realize I should have reduced it a little), working as a radio host, and doing voluntary actions. I know that I am mature enough right now, I want to be an independent daughter, have enough income for myself, and not depend on my parents too much again. Hiks ~ Ah, growing up is sometimes quite scary. Hihihihi ~ However, I am always me, with ton of silliness and the power of enjoying myself. These days, I am so busy of being nowhere, right here and right there. Not really looking for jobs or new activities. I dedicate this March only for some traveling and holiday. But Insya Allah next month I will push myself again to involve in the so-called professional world (Psstt, that sounds soooo I-don’t-know). Me love you always, Dad. Always..
Ohh, I’ll make this graduation post in two parts. This part is for the moment, and next for the outfit detail. 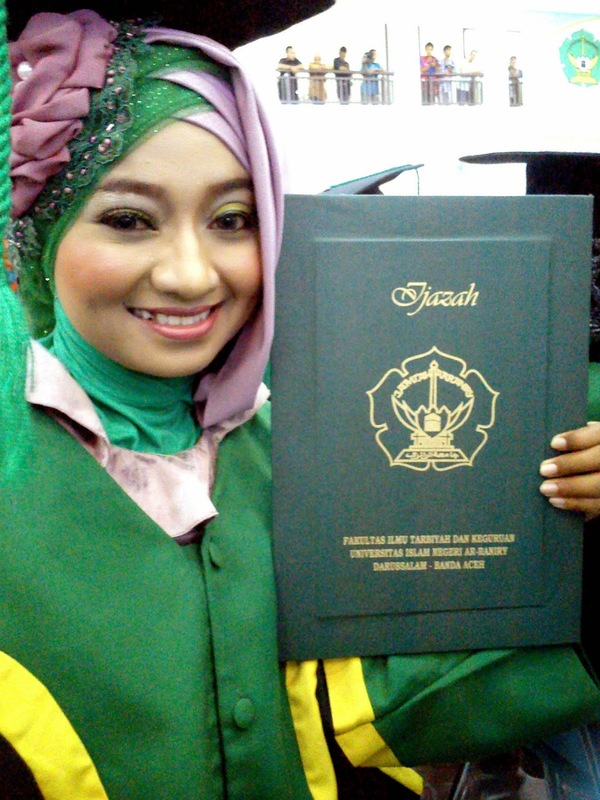 Congrats dear. You look great. Beautiful photos! hehehe.. akhirnya potoku mejeng juga ya kak.